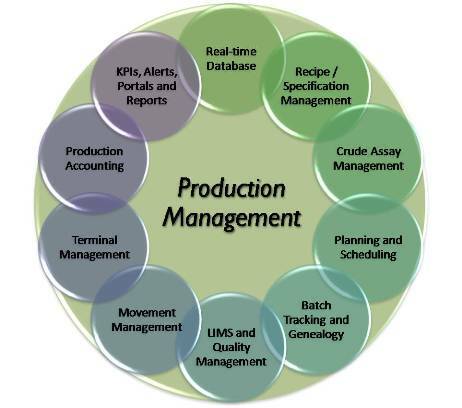 Production management involves the job of coordinating and controlling the activities required to manufacture a product. Production planning and its control are the main functions of production management. Production of goods and services of the right quality, right quantity, at the right time and at the minimum cost. Bring together the 6M’s i.e. men, money, machines, materials, methods and markets to bring products to the market more quickly, to ensure customer satisfaction and to maintain its market share. Production planning requires creation of production capacity, which may include setting up plants, equipment and other supporting infrastructure. The layout of the plant plays a very vital role in overall production management. Hence, careful attention should be given in designing a layout of the plant and the placement of various interdependent elements within it. Our future needs and growth plans must also be considered while designing the layout of the plan. The material flow of our production process must be the basis of the layout design. It should allow for some changes, if time, space and priority permit. predictability and measurability of the production activity. So, each process must be designed carefully. The organized compilation of all the processes within a company forms the Operations Manual of the company. Learn more about the Production management only at LSBF.